I viewed the 2018 Sun Bowl at a Stanford alumni watch party in Lower Manhattan. Afterward, I played for a few hours at Modern Pinball NYC. Yikes, yikes, yikes — Stanford’s offense struggled against Pitt, and mightily. In my game writeup, I detailed the unit’s futility: The lowest points, passing completions, aerial yardage, overall yardage and third-down conversions for the season. The Stanford football team closed out its 2018 season with an ugly 14-13 New Year’s Eve victory over Pitt in the Sun Bowl. It was the Cardinal’s closest contest of the season, with the team putting up its lowest point total of the year after a 17-3 win over USC. Junior quarterback K.J. Costello completed just six of 17 passes for 105 yards, and the offense gained just 208 yards while converting a single third down on 10 opportunities — all season lows. It seemed fitting that the winning touchdown came on an offensive fumble recovery. Granted, Costello’s unit was missing a number of starters, including hobbled wonderback Bryce Love, who (wisely) opted out out of the game in order to prepare for the NFL draft. But the defense was also missing players, and it turned in a commendable performance. The Panthers offense rolled up a modest 348 yards, making only five of 17 first downs, and managed just one touchdown in three visits to the red zone. As has been the case a number of times in recent years, last weekend I attended the Big Game watch party that was jointly hosted by the local Stanford and Cal alumni groups. This time it was held at Woody’s, a sports bar in Cary that I’d never been to before. Typically, the hosts hold drawings. This time I won a Stanford car magnet. Even better, the guy next to me won a 2013 Rose Bowl Champions hat. He got it and said, “Great, a five-year-old hat.” His wife didn’t want it; nor did the first person or two to which he offered it. I happily took it, having attended the game, which I fondly remember! I barely removed it from my head the rest of the day. Oh, Stanford’s defense. The Cardinal allowed Cal to roll up 155 rushing yards and 197 passing yards. The Golden Bears also converted a semi-respectable seven of 18 third downs and a relatively dismal three of three fourth downs. Stanford managed but a single quarterback hurry and only recorded four tackles-for-loss, three of which were sacks. Stanford extended its historic Big Game victory streak to nine games on Saturday, beating Cal, 23-13, behind a pair of Cameron Scarlett touchdowns and two Paulson Adebo interceptions. The Cardinal, who on Sunday accepted a Sun Bowl invitation to play Pitt on Dec. 31, finished the regular season 8-4 (6-3 in the Pac-12). Cal dropped to 7-5 (5-4) but demonstrated that they have taken significant strides in closing the talent gap that’s loomed between them and their archrival for much of the past decade. Patrick Laird gained 116 yards on 19 carries and the Bears outrushed Stanford, 155 yards to 92. But the Cardinal, which controlled the ball for nearly 33 minutes, scored 10 points on three takeaways to maintain its hold on the Axe, the trophy that the two universities have contested for more than a century. I watched the Cardinal take on UCLA last Saturday by myself at James Joyce Pub. The game was well in hand except, um, for all the times that it wasn’t. Stanford’s second-half defense against the Bruins left something to be desired. UCLA piled up 336 yards in the final two quarters, including 311 yards through the air. K.J. Costello threw for five touchdowns, three to J.J. Arcega-Whiteside, to lead a battered Stanford football team past a feisty UCLA squad in the Rose Bowl on Saturday. The 49-42 win moved the Cardinal to 7-4 overall and 5-3 in league ahead of their rescheduled contest at Cal on Dec. 1. The Bruins finished 3-9 (3-6) in their first season under head coach Chip Kelly. Stanford opened with another characteristically bad first possession, which saw the team lose a yard on three snaps. After Costello threw an unwise pass that Adarius Pickett returned for 22 yards to the Cardinal 23-yard line, Kelly sent out freshman Dorian Thompson-Robinson at quarterback to run a trick play. He tossed the ball to Wilton Speight, the redshirt senior starting quarterback, but his pass fell incomplete. The Bruins were only able to gain two yards before sending out junior kicker J.J. Molson to hit a 38-yard field goal. I watched football by myself at James Joyce last Saturday and found myself quite gratified by the Cardinal’s performance. Truth be told, I was also a bit relieved by the win. Through 10 games, Stanford’s total defense has been rather alarming. The Cardinal is allowing 410.7 yards per contest, which ranks 74th out of 129 Football Bowl Subdivision teams. That’s the most that the Cardinal defense has surrendered since 2007, when the team let up 435.5 ypg en route to a 4-8 record in Jim Harbaugh’s first year. Yikes. The Cardinal is about to meet two offensively challenged teams, Cal and UCLA, the latter of which is rivaled only by Oregon State for being the worst team in the conference. With a bit of luck, Stanford’s total defense will improve slightly — but this week, it is still worthy of being labeled The Bad. On the other hand, a win’s a win, especially in a Power Five conference. Stanford’s 48-17 victory over the orange and white did more than lift the Cardinal to 6-4 on the year (4-3 in league); it also broke a two-game losing streak, the sixth in Shaw’s eight seasons as head coach, and gave the senior class a win in their final game at Stanford Stadium. The Cardinal scored on its opening drive for just the third time in 2018. Following a short Bryce Love run on the first play from scrimmage, junior quarterback K.J. Costello completed passes of 26 and 18 yards to sophomore tight end Colby Parkinson and senior wideout Trenton Irwin, respectively. Two snaps later, Love took the ball in from the 28-yard line with one of his best runs of the year; the touchdown was just his fifth of the year. Last Saturday, I went to a friend’s house to watch the Stanford-Washington football game. We were both extremely discouraged by the Cardinal’s abysmal first-half ineptitude, particularly in the first quarter. Neither of us suggested turning off the game. I did not take a long walk after the contest ended. But man oh man, I could have used one. Yeah, there are a lot of candidates for this week’s The Bad. As mentioned, Stanford’s everything was lousy in the opening half. The defense was bad, allowing three touchdowns and 225 yards. The offense was arguably worse, compiling a grand total of no (zero!) points, 142 passing yards, 11 (eleven!) rushing yards and a pair of interceptions. Washington defeated Stanford last weekend, 27-23, to hand the Cardinal their fourth loss in five games. The Huskies, now 7-3 overall and 5-2 in conference, winnowed down the field of potential Pac-12 Northern Division champions to either themselves or Washington State. Stanford fell to 5-4 (3-3) after beginning the season 4-0; the team is still searching for bowl eligibility with three weeks remaining in the regular season. The Cardinal showed off some of its worst tendencies on Saturday night in Seattle. The team turned in another scoreless first quarter, its fifth of the season, and another disastrous first half. The offense opened with a trio of three-and-outs that saw Stanford hold the ball for less than five minutes. The last of those drives ended in a Byron Murphy interception on a fifty-fifty ball that K.J. Costello attempted to throw to Trenton Irwin. The pick led to Washington’s third touchdown, giving them a 21-0 lead early in the second quarter that the hosts would take into intermission. Because Stanford’s game against Washington State was broadcast on the Pac-12 Network, I went to James Joyce to watch. After the Cardinal’s loss, I wandered the streets for nearly 45 minutes. After Stanford’s 41-38 loss to Washington State, I took a meandering walk for nearly 45 minutes. A 42-yard Blake Mazza field goal with 19 seconds remaining lifted Washington State to a 41-38 victory over Stanford in the Cardinal’s homecoming game late Saturday afternoon. WSU’s third straight victory over Stanford moved the streaking Cougars to 7-1 overall and 4-1 in the Pac-12. In losing consecutive games at Stanford Stadium for only the second time under head coach David Shaw, the Cardinal fell to 5-3 (3-2). The Cougars trailed by two touchdowns, 28-14, after K.J. Costello threw a one-yard touchdown pass to sophomore fullback Houston Heimuli with 1:04 remaining in the second quarter. But WSU roared back; after recording a 23-yard Mazza field goal to close out the half, they went on to outscore Stanford 24-10 following intermission. After having lunch with a friend in Northern Virginia, I wrapped up an eight-day trip by driving back to Durham on Thursday, Oct. 18. Since it was late in the afternoon when I arrived and I wanted to get in some exercise, after hurriedly unloading my car I headed back out and hit the pavement. Ultimately, I walked more than 3.5 miles before coming back home to shower, groom myself and dress in Cardinal apparel. I’d hoped to get in a little bit of pinball action before the football game, but the walk and doing some overdue shaving ate up most of the time available to me before kickoff. I headed down to my usual Durham Stanford-watching spot but left before the final gun because the place was nearly empty and preparing to close. However, when ‪ASU‬ scored a fourth-quarter touchdown with several minutes remaining in the contest, I realized that I needed to get to a television. I wound up at the same establishment where I’d watched the Cardinal’s disastrous loss to Washington State in 2016. Fortunately, this time the result was much happier for me and other Stanford faithful. Stanford netted 127 rushing yards on 43 carries against the Sun Devils, which works out to a hair less than 3.0 yards per attempt. Remarkably, for a team that returned the nation’s second-leading rusher and four-fifths of its starting offensive line, this was only slightly worse than the Cardinal’s season-long average of nearly 3.1 yards per carry. Stanford scored two third-quarter touchdowns and did just enough in the fourth quarter to get past a scrappy Arizona State team last Thursday night in Tempe. Fans hoping to see the Cardinal put together a consistently solid 60 minutes of play probably came away disappointed from the nationally televised matchup; still, the conference road victory broke a two-game losing streak for coach David Shaw’s club. Stanford, now 5-2 overall and 3-1 in the Pac-12, has a chance to seize control of the conference’s Northern Division with consecutive games against Washington State (6-1, 3-1 in league) and Washington (6-2, 4-1) staring this weekend. To get to that point, however, Stanford had to erase a first-quarter deficit — its sixth in seven games this year — and survive a shaky string of offensive series over the final 17 minutes of its bout with ‪ASU‬ (3-4, 1-3). I spent the weekend of the Utah-Stanford football clash participating in a two-day Scrabble tournament in Wilmington, N.C. (More on that in future posts!) Come kickoff time, I was prowling Wilmington’s downtown entertainment district, seeking a good place to watch the game. I wound up at a wonderful bar called Rebellion, which I stayed at until late in the third quarter. Once I’d finished walking back to my hotel and taking the elevator up to my room and figuring out how to turn on the television and tune into the game just in time to see Stanford rally late in the third quarter. Stanford played its worst game of 2018 last Saturday in a 40-19 home loss to the Utah Utes. Although the Cardinal’s 38-17 road loss at Notre Dame the previous weekend was by a larger margin, the team’s second defeat may have been more demoralizing. For one thing, it happened at home; for another, it was probably the squad’s all-around worst performance. It was as if coach David Shaw’s gridders took the worst elements from their uninspired first half at Oregon and their fourth-quarter collapse against the Fighting Irish and amplified them. The contest’s first play from scrimmage was promising: junior quarterback K.J. Costello threw to senior wideout J.J. Arcega-Whiteside for 15 yards. But the drive stalled there, and Stanford punted. Utah soon did the same. Well, there are a lot of candidates for this category this week. But let’s zero in on one thing: Third down. The Cardinal offense converted only three of 13 third downs. Partly as a result, the Stanford defense had to spend more than 34 minutes on the field. The late American comedian is supposed to have once said, “If opportunity doesn’t knock, build a door.” When Notre Dame hosted Stanford last Saturday evening in a primetime battle of top-10-ranked unbeaten teams, both teams had plenty of chances to grab a win. Unfortunately for the road team, the Fighting Irish not only built a door but charged through it during a lopsided fourth quarter that saw Stanford repeatedly drop lumber on its toes and hammer its own hapless fingers and thumbs. The Cardinal opened the game with a three-and-out that saw them gain no yards. The Irish drove 20 plays in response but saw running back Tony Jones Jr. turned away with one yard to go on third and fourth downs at the Stanford 47-yard line. The ensuing play was a seven-yard Bryce Love run, his first gain after being held to no yards on two carries. But Stanford couldn’t convert third and 2 and had to punt. After two opportunities to put their mark on their game, the Cardinal offense had come up empty twice. I watched last Saturday’s 38-31 come-from-behind overtime victory at Oregon at my usual Durham spot, accompanied by my buddy Jim. Things looked very grim at first… and then they didn’t… and then they did again… and then they didn’t. It was an astonishing spectacle. Things looked very very very grim for Stanford during the first half, which saw them fall behind, 24-7. The Cardinal offense looked confused and directionless, while the defense appeared to be helpless to interfere with the Ducks’ attack. The team’s performance over the first 30 minutes of the game is this week’s The Bad. Stanford yet again had trouble establishing a ground game, thanks to a spirited and dynamic Oregon defense. The final numbers — 24 carries, 71 yards and a touchdown, with a long gain of 22 — are somewhat misleading, because a sack of and fumble by quarterback K.J. Costello saddled him and the team with a 19-yard loss. On the other hand, even discounting Costello, Stanford’s other rushers, Bryce Love and Cameron Scarlett, combined for 22 runs for 90 yards. (Scarlett had only a yard on three carries.) That thoroughly…mediocre…production is this week’s The Ugly. The Nerd Nation Comeback T-shirt that went on sale this week encapsulates the roller-coaster ride that was Stanford football’s improbable rally at Oregon Saturday evening. The Ducks moved the ball easily early on, scoring touchdowns on their first three possessions and adding a field goal on their fourth and last drive of the first period. Their phenomenal quarterback, junior Justin Herbert, completed 13 of 14 passes before the break, racking up 184 yards with a short touchdown toss to junior tight end Jacob Breeland. Oregon was also devastating on the ground, with running back C.J. Verdell scoring on a 48-yard rush; he and Herbert also had several other carries of at least 11 yards. Meanwhile, the Cardinal offense seemed hesitant in its first road game of 2018. A 13-yard K.J. Costello-to-J.J. Arcega-Whiteside fade left Oregon holding a 14-7 lead in the second quarter, but after that, the unit was only able to gain 17 yards in their last two series before halftime. Thankfully for those in the Research Triangle, Hurricane Florence had its strongest effects elsewhere in the Carolinas. 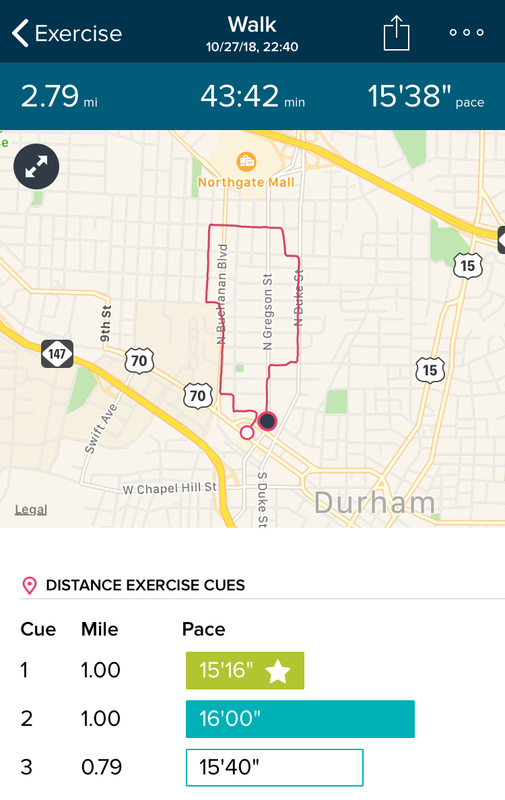 I wound up listening to the first half of the UC Davis–Stanford game on the Internet on a rainy (but not spectacularly so) Saturday afternoon before driving to James Joyce Pub in Durham’s Brightleaf area to watch most of the second half. As noted in my game writeup, Stanford’s offense was uneven in beating Davis. That may have been most in evidence in the Cardinal’s third-down conversion rate: Stanford was successful on only three of 14 tries, a performance that will not cut it against nearly every other team remaining on the schedule. This woeful effort clearly deserves to be called The Bad. Stanford moved to 3-0 on the young football season with a 30-10 victory over UC Davis on Saturday afternoon. But the victory, which closed out a three-game home stand, was not without its blemishes. The teams began the game by exchanging punts. Things began to get interesting on the second snap of Stanford’s second possession. Following a fake handoff, junior quarterback K.J. Costello underthrew junior tight end Kaden Smith, who had lined up wide and was surrounded by gray-clad defenders. Junior linebacker Nas Anesi was perfectly positioned to grab the ball and returned it nine yards, to the Cardinal 12-yard line. The Aggies couldn’t earn a first down but were able to get on the scoreboard thanks to Max O’Rourke’s 26-yard field goal. After the kickoff, Stanford — which was resting all-world runner Bryce Love — handed off twice to junior tailback Trevor Speights. His second run seemed to gain 13 yards but was called back because Smith was flagged for holding. After playing some free poker in the afternoon, I drove to my favorite Stanford-sports viewing spot in Durham. It proved to be a very enjoyable evening, even though I didn’t work in a long postgame walk. Stanford committed seven penalties for 50 yards against the Trojans, who were flagged just four times for 35 yards. This was a significant turnabout from the opener, which saw Stanford draw only three penalties for 20 yards, while the Aztecs committed a whopping 11 penalties for 125 yards. The decline in Cardinal precision and rules-following deserves the label of this week’s The Bad. The Stanford football team launched its Pac-12 conference season with a 17-3 victory over visiting USC Saturday evening. The Cardinal offense scored on its first and last drives of the opening half and matched the Trojans’ only score, a third-quarter field goal. Meanwhile, the defense harassed USC quarterback J.T. Daniels and closed the door on the Trojans each time they entered the red zone. Daniels, a freshman making his second collegiate start and first on the road, was attended to on the sidelines and briefly left the field during the first half. His replacement, redshirt sophomore Matt Fink, carried a single time for five yards and completed one of two passes for a mere three yards. I started the 2018 Stanford football season the exact same place where I ended the 2017 campaign: At a particular joint near my childhood home. For convenience’s sake, I’ve decided to dub this spot Ye Olde Pub/Club. The “Club” part is because the establishment seems to turn into a dance spot of sorts on Friday and Saturday nights — or at least, that’s what was happening on the evening of Friday, Aug. 31, 2018. That said, let’s get on with my assessment of Stanford’s first football game of the year! Faithful Bad-Ugly-Good readers will be familiar with this lament: It’s hard to find fault with the Cardinal’s performance when they win by at least three touchdowns. Such is the happy problem I face once again! There was some concern among Cardinal tweeters during the first half, when San Diego State took a 7-0 lead and Stanford’s club seemed lost in all phases of the game. As I wrote to a chagrined friend, the team’s start was disappointing, especially given SDSU’s 2017 victory. It helped matters not at all that Stanford, in quarterback coach Tavita Pritchard’s first game as offensive coordinator, had to call a timeout right after receiving the opening kickoff. (Even worse, of course: That play resulted in an incomplete pass.) It was also a somewhat unsettling to see the Cardinal’s first drive — the only time the offense effectively moved the ball in the initial period — end without points when junior kicker Jet Toner sliced the ball wide left from 38 yards out.